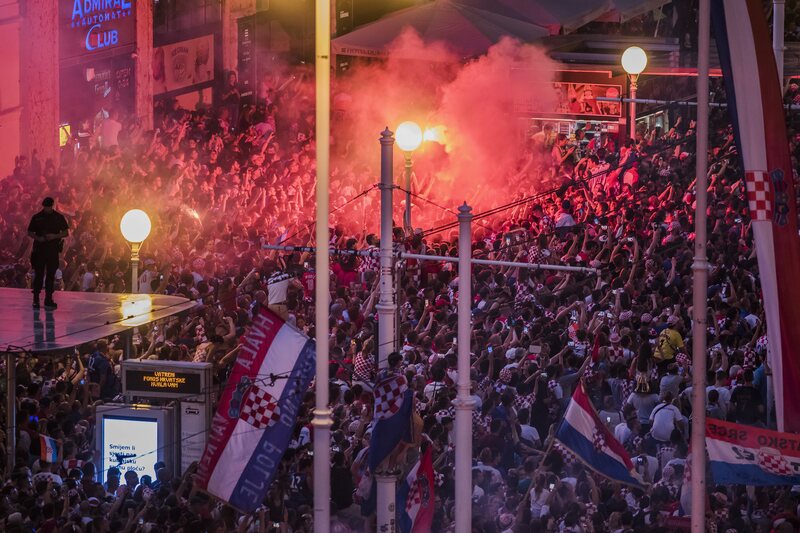 It is difficult to describe atmosphere in Croatia at the moment. 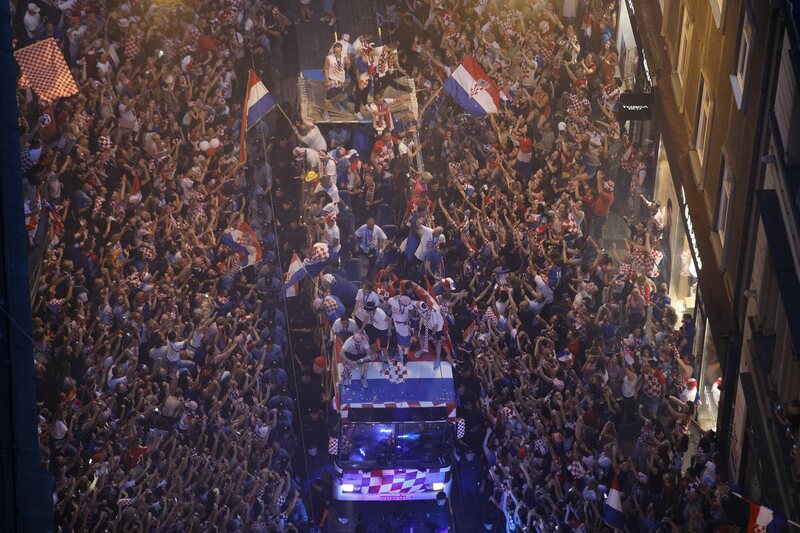 Following the success of their team on FIFA World Cup in Russia, the whole country has entered party mode. 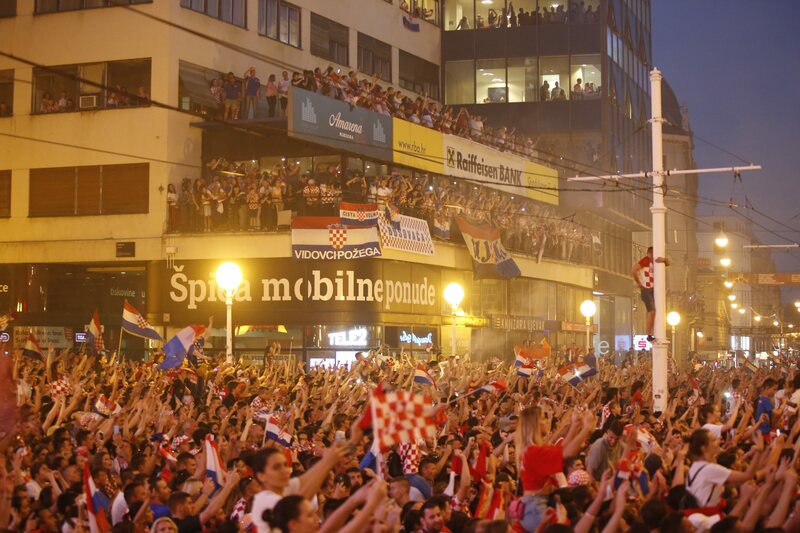 Every city, town or settlement is celebrating and foreign tourists have also joined the spoils. 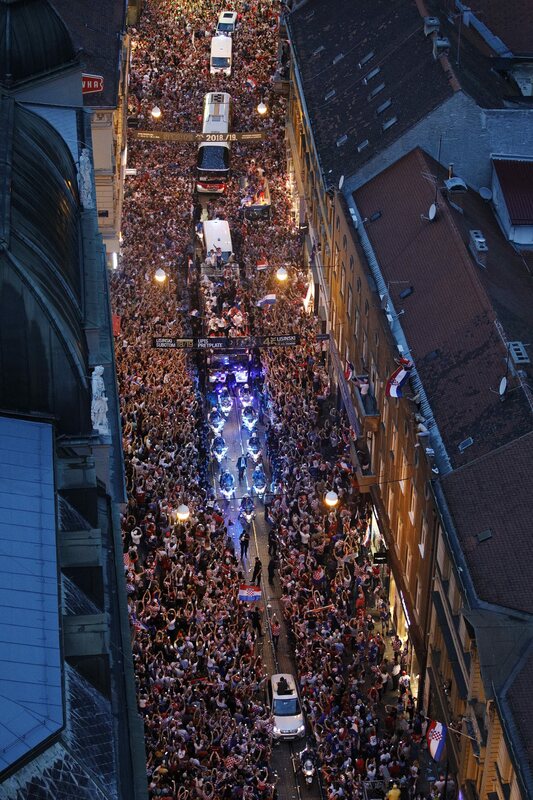 Although not winning the first place, Croats are still proud of their achievements and are looking forward to upcoming sport challenges. 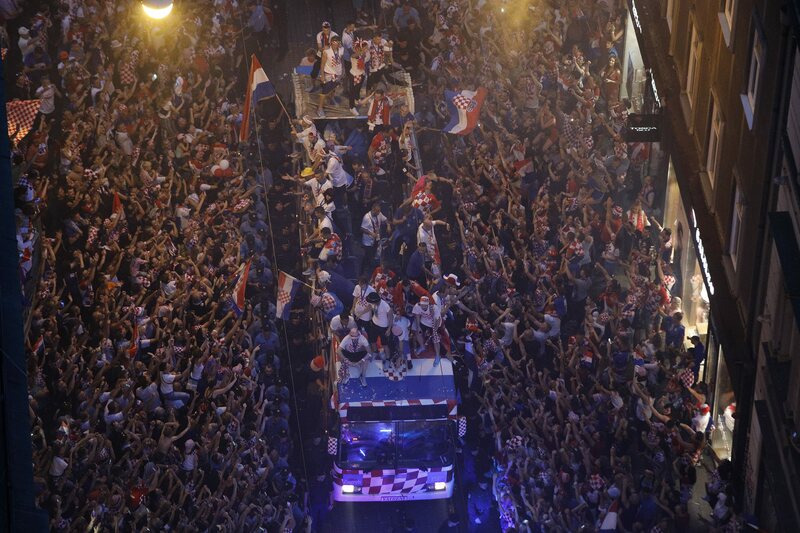 Nicknamed “Vatreni” (meaning “Blazed Ones”), Croatian soccer team has arrived to Capital of Zagreb yesterday. 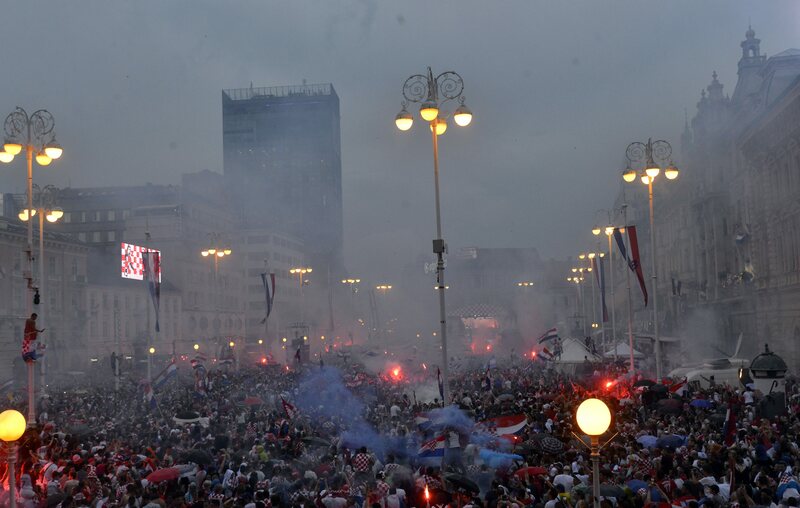 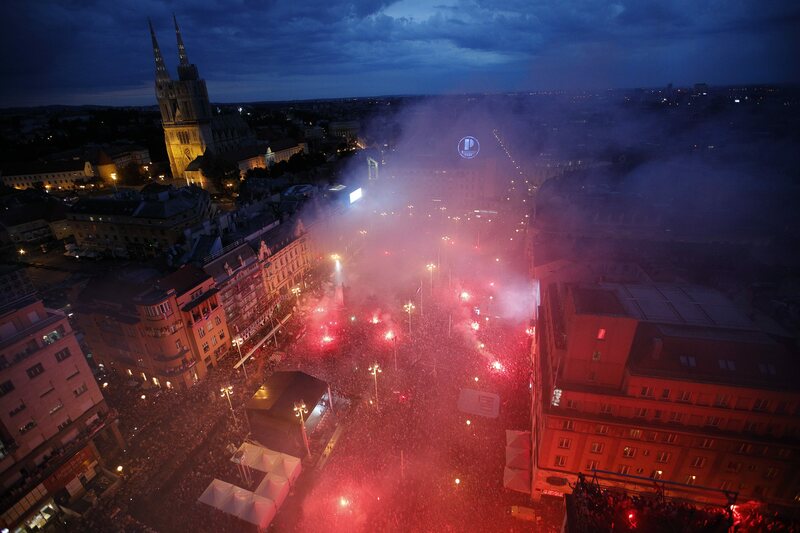 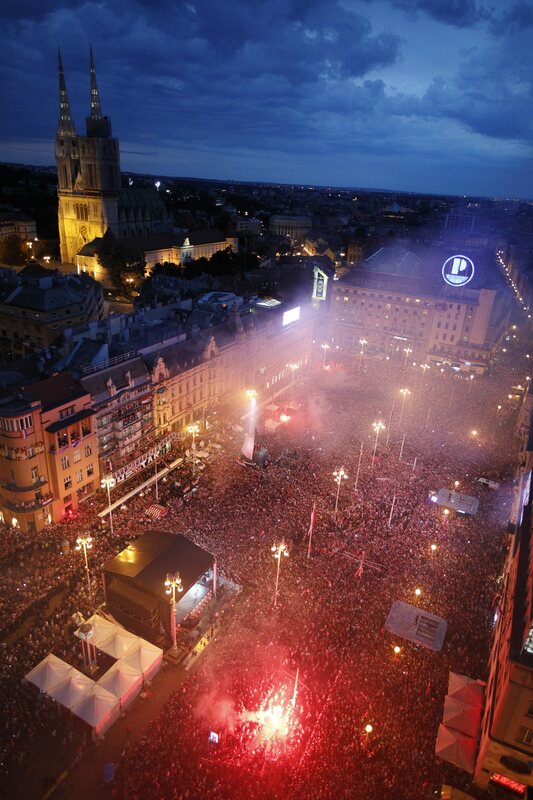 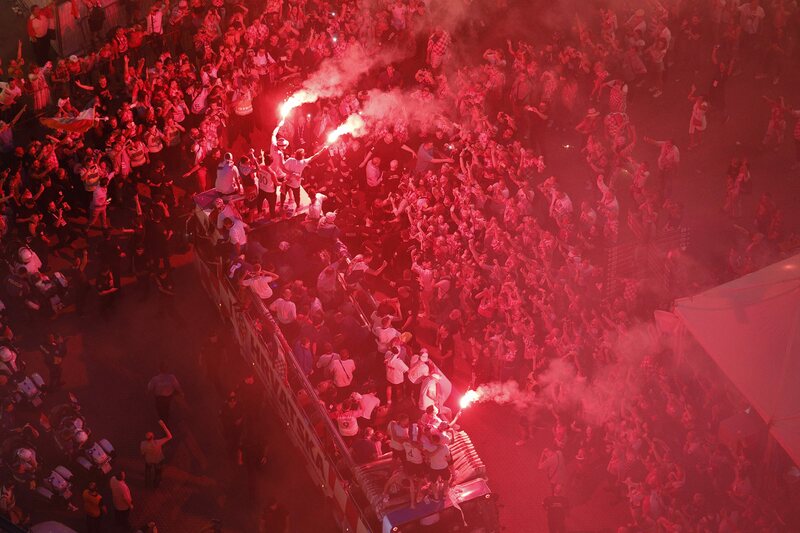 The central point of celebration was Ban Jelacic Square. 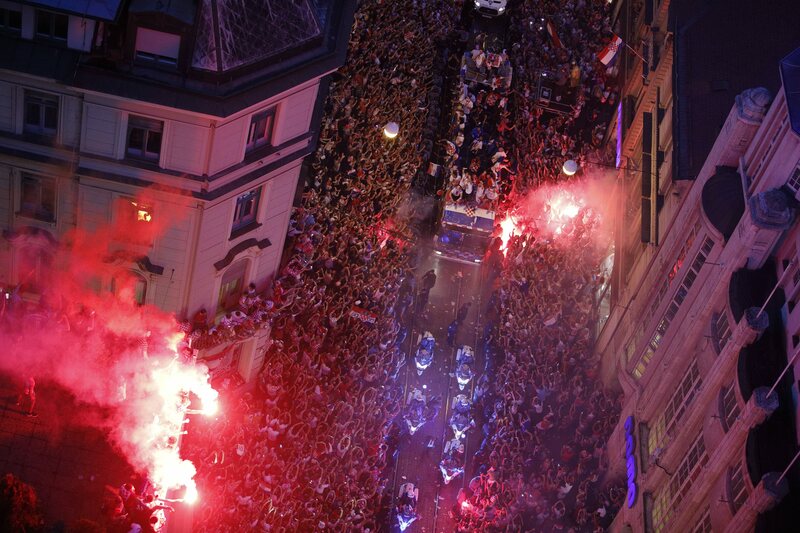 Interestingly enough, the plane which transported the team has flown over the site, bringing more excitement to the masses. 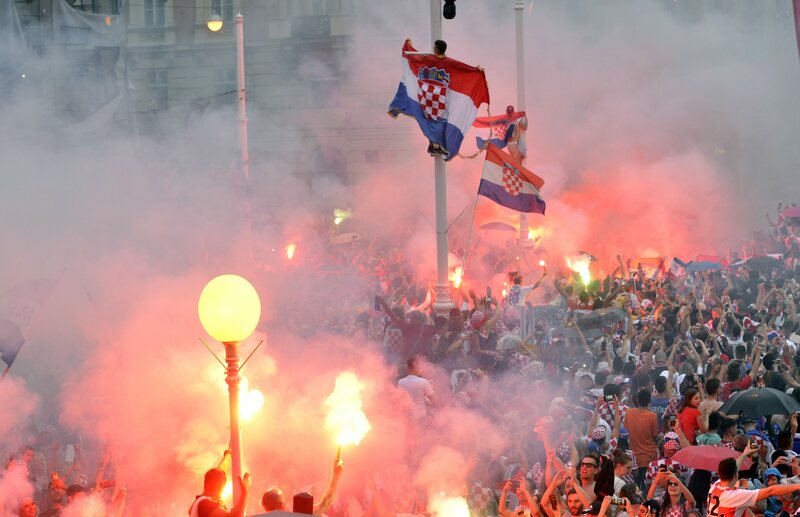 The plane was followed by two military jets of Croatian army, whose pilots were first to congratulate the team on their home turf. 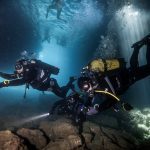 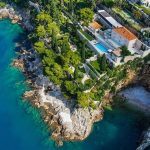 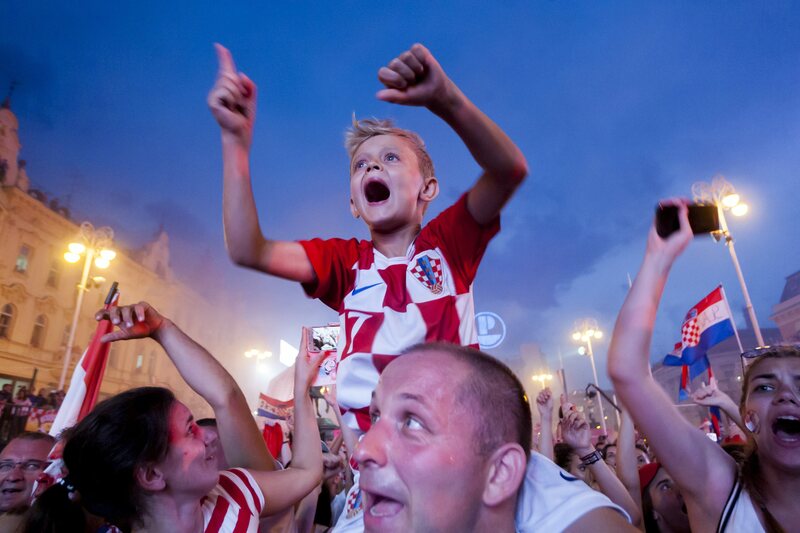 Croatian silver has echoed in the world, promoting the country as a travel destination and culture worthy of exploration. 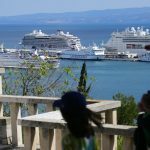 The website of local Tourist Board has noted 250 % increase of already impressive number of visits, and our own site follows the pattern. 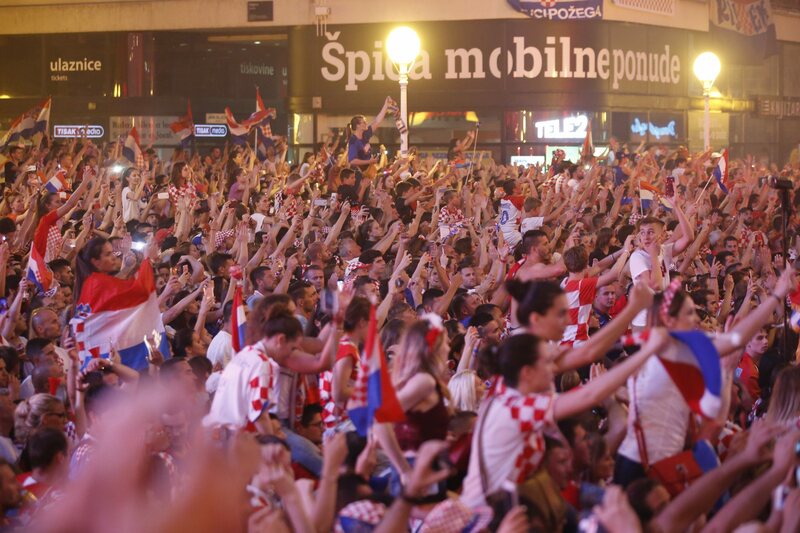 One can expect even more foreign visitors on Croatian coast in the upcoming months, thanks to folks who wore red-and-white checkers jersey. 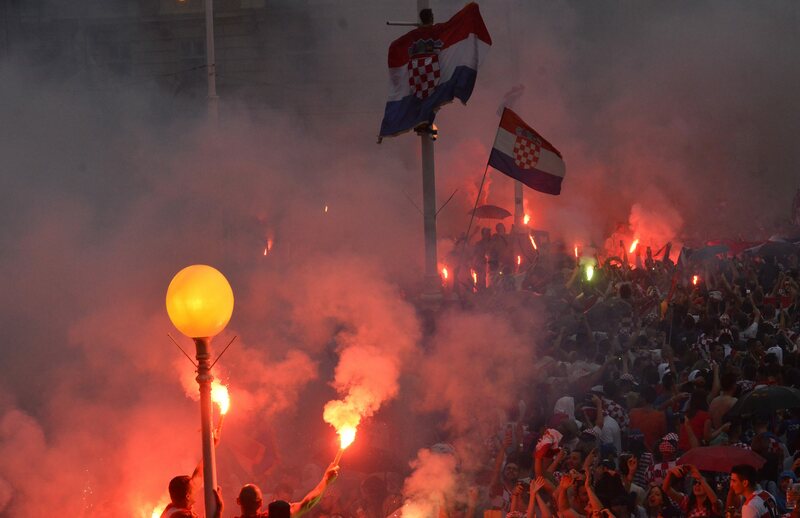 If you are in Croatia at the moment, thank you for your support. 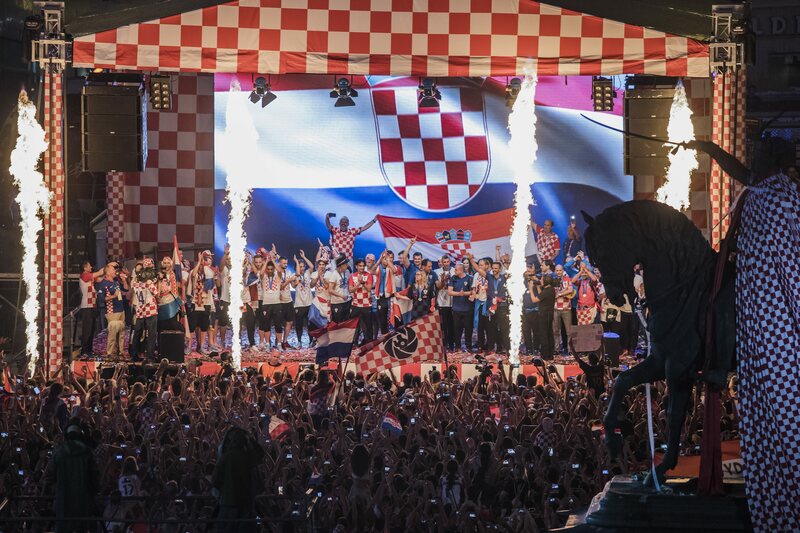 Consider visiting our sister site Croatia Tickets for some extra content that you can enjoy at discounted prices. 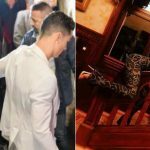 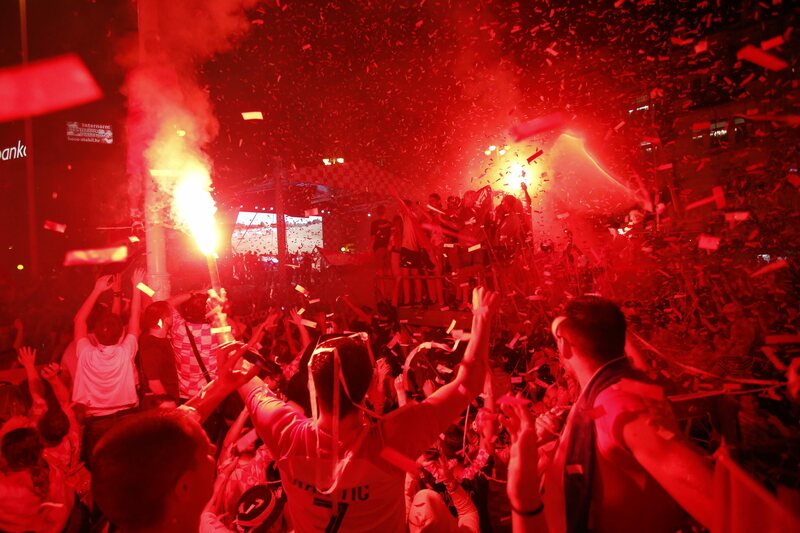 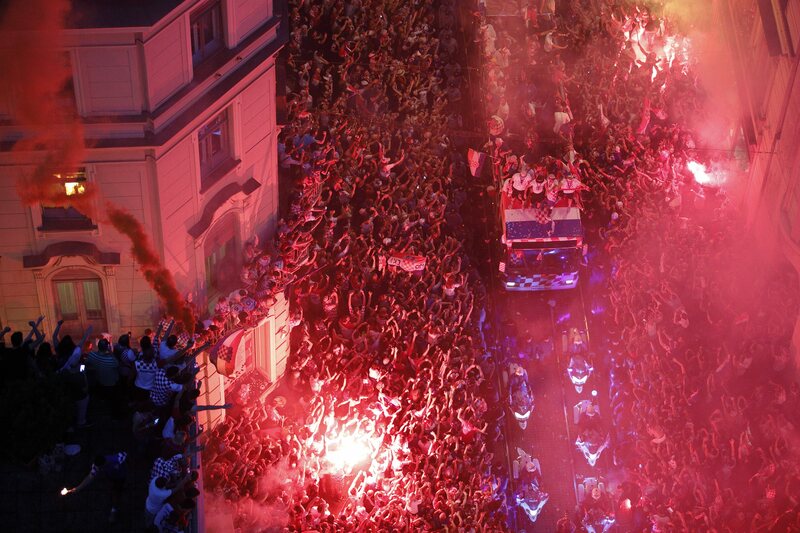 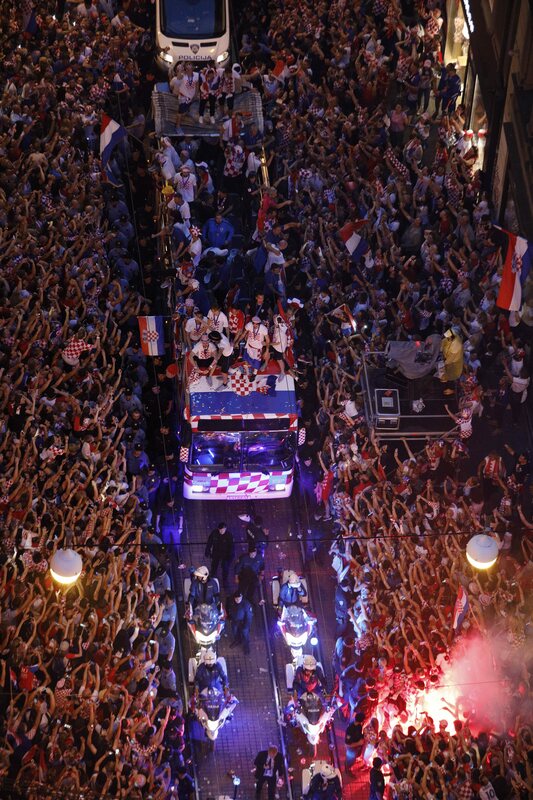 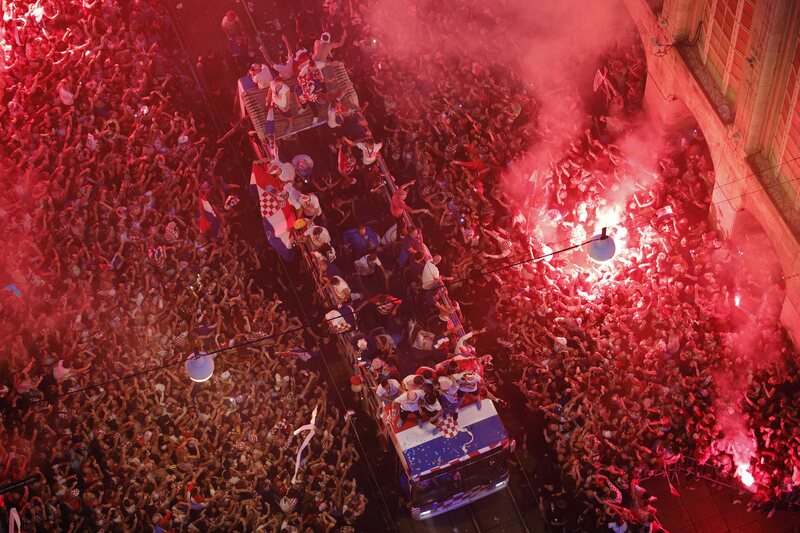 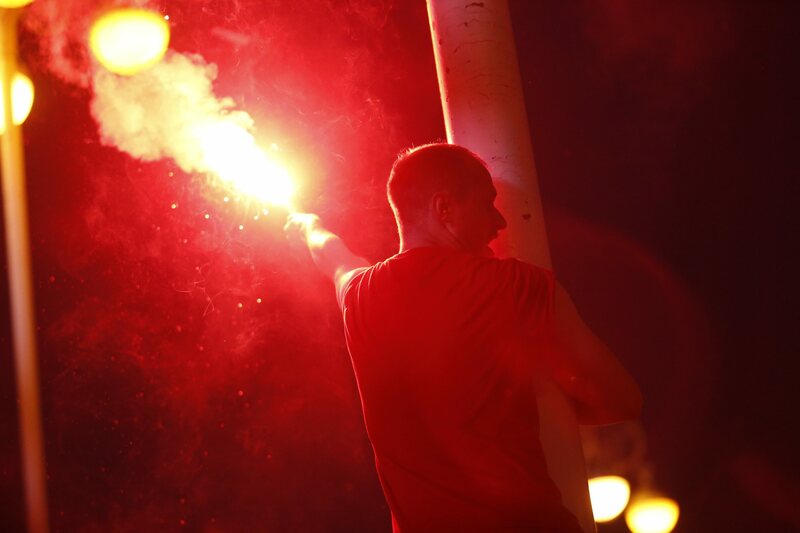 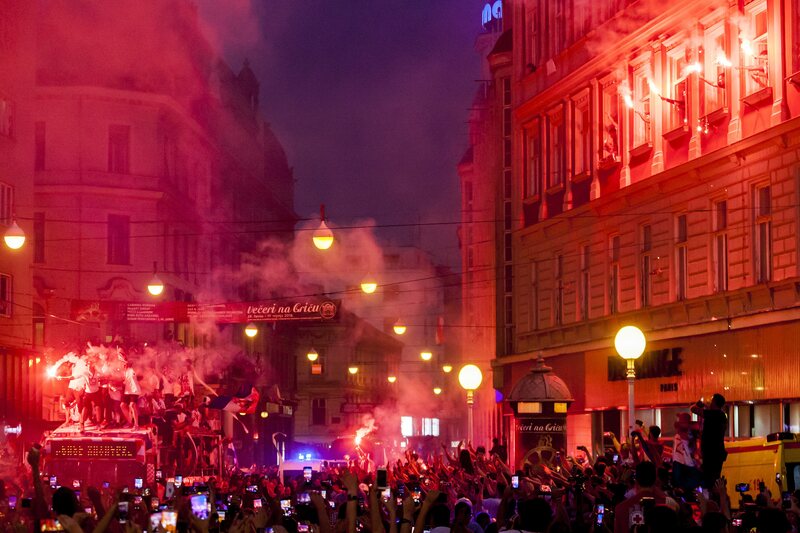 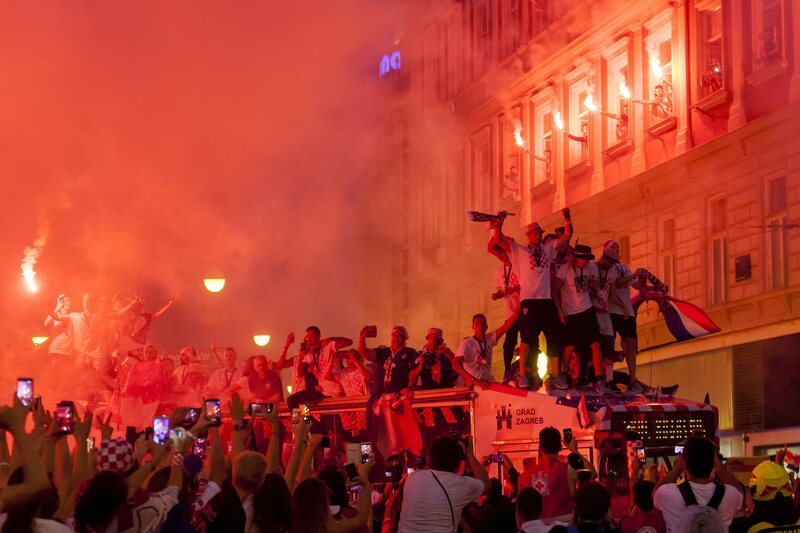 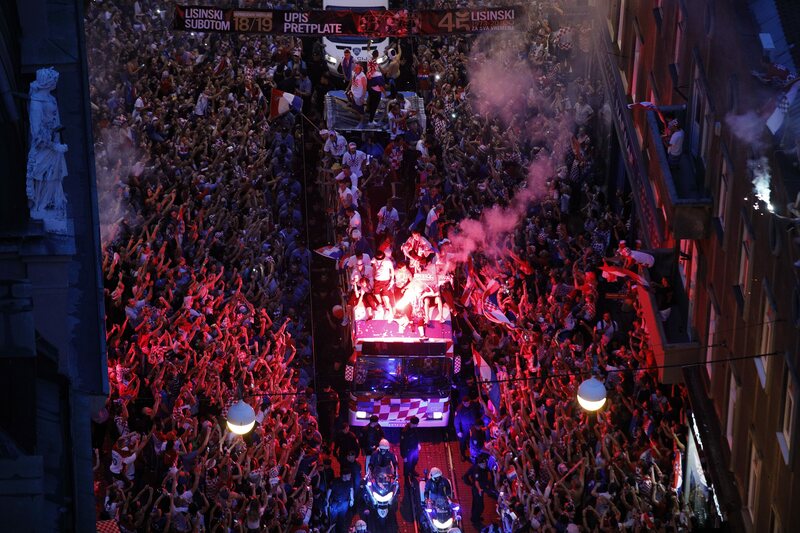 And check out our image gallery below to witness the Croatian celebrations taking place at the moment.